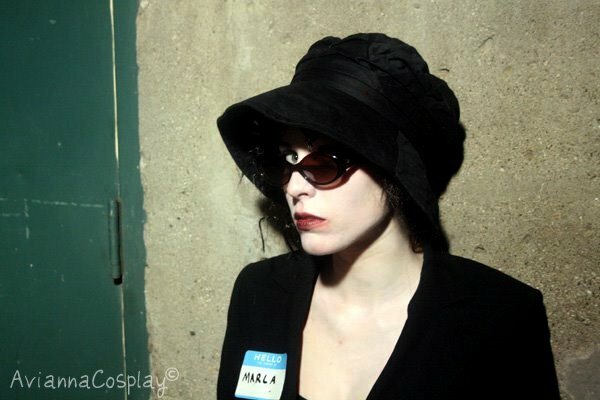 Marla Singer is one of my heroes! I absolutely adore the way she holds herself and her sense of humor. I’ve been kinda adding to this costume for a few years, picking up things are I thrift shop or go about. 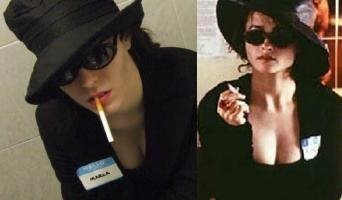 The name tags that say “Hello My Name Is,” I have a sheet of to use when I need them and the wig is an altered eighties wig because they have the same kinda curls Marla has. I really need some good pictures of this costume, and they are to come, but for now I just have a joke one from Ohayocon.